Fall Newsletter 2014 - Rubies and Sapphire and Topaz ... Oh My! Sapphire and Rubies and Garnet - Oh My! This topic was originally "Light Warriors" but somehow that conjured up some bad images ... Light Workers aren't at war with anyone ... they only want to help others and improve their own enlightenment. 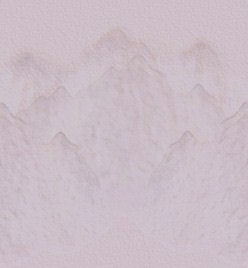 And since many times, I have been asked what crystals are the most important to a Light Worker here is a rather lengthy list. So this will be a sort of lengthy list (in no particular order) about Light Worker stones ... these are critical for the life's expression that you have chosen. The ones proposed are a good basic set, although there will be many personal crystals that call to you through the years. And believe me ... I know! Some will call to you and you will know them immediately while others may be acquired and sit quietly for years until you are ready and suddenly, they become chatty and eager to open up. Aquamarine is a stone of peace and centeredness, but it is also a stone of courage. These are all important qualities to the Light Worker as she/he explores the unknown in a very personal way. These are Soul source crystals, allowing you to not just fortify the Core Chakra (this holds all your core beliefs as well as tribe, family, country, etc., belonging) but to know the passion within your Core and stir it into expression. Most often, you will find this as nodules or polished stones, particularly used in jewelry. In the southwest, window frames were painted shades of turquoise as a protection against evil spirits. Wearing the stone accomplished the same effect and this is an important Spirit to repel negativity. Make sure you are getting real turquoise however. Most of what is sold as turquoise now is dyed howlite - be wary of any turquoise that does not show veining and some color variation. This is another Core Chakra stone that offers strength, restorative energy and courage to the Light Worker and is one of my favorite go-to crystals. I do love ones that have the hexagonal shape as they can be used in grids much like a dial to power up or down the energies. Both ruby and sapphire are corundum crystals and basically the same chemical structure ... just different impurities that contribute the color. Sapphire is a stone of wisdom and patience. It teaches that waiting for a stone to speak is important and then clarity will follow. This is another one that can dial energies in a grid. There are many colors of topaz ranging from the water-white to gold to blue and occasionally pink. They offer hope, synchronicity and balance and often connections to starbraries. I prefer the natural stones however some of the faceted ones have wondrous energies that may be easier to direct for some. Carnelian is a favorite - passion, courage and confidence ... now who doesn't need all of those? Occasionally these are terminated but there are very nice polished pieces that are a joy to work with. 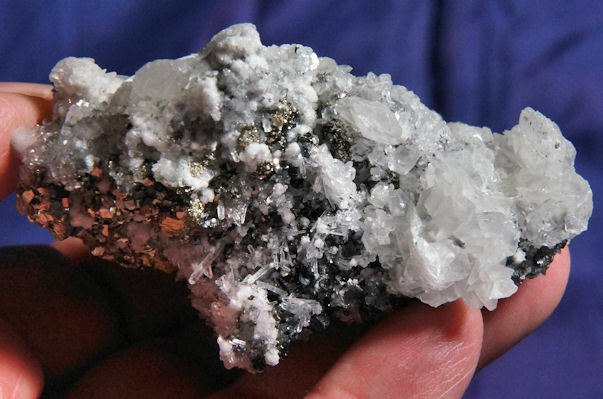 They are also found in neat nodules that are perfect for crystal healing and/or Reiki work. Emerald is a member of the beryl family, sharing the stage with aquamarine, goshenite (clear), morganite (pink), bixbite (red) and heliodor (yellow-gold to yellow-green). The true emerald is a clear green and it's found all over the world. It is a stone of loyalty ... a heart stone that teaches commitment to the persons and things you love. The energies are remarkable! Tiger eye is a blend of amphibole minerals in quartz that gives the characteristic striated look with the fascinating chatoyance. It comes in blue, gold and red with dark banding and is a stone of both survival and friendship. That's an interesting combination but when you think about it, the bond of friendship is often stronger than family and both can carry you through during hard times. These are stones of motivation and ambition, important for grounding as well as keeping you going. They provide a balance for the Light Worker that is critical to movement on the enlightenment path. Not adventurine ... hehehe! Aventurine is a type of microcrystalline quartz which is a lovely shade of green, often with mica flakes included, giving it a nice sparkle. This is a stone of heart balance enabling the understanding of seemingly divergent issues to highlight the commonality. This centering is another essential Spirit in the Light Worker's tool kit. This crystal comes in shades of blue (indicolite), green, brown, purple, red, pink, clear and black, each with a different energy. 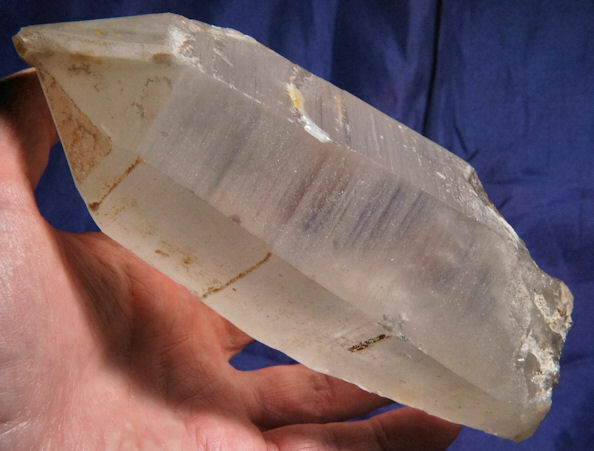 Like quartz, there are so many varieties that one specifically will call to you as one of your core stones. The pink and green are heart stimulating, the clear is electric and energizing, the brown (dravite) for earthy work and black (schorl) for repelling negativity and grounding. The blue is a Third eye stone, the purple is a crown crystal and the red (rubellite) is a sweet, glowing heart energy. 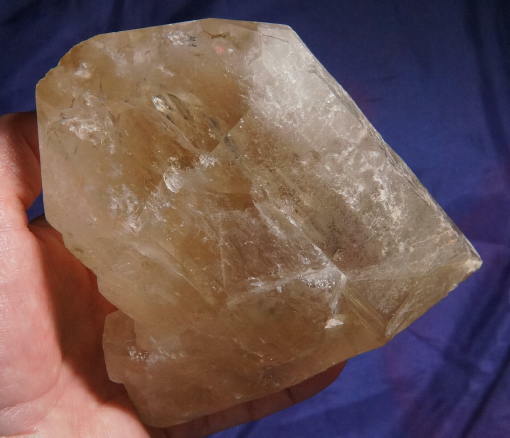 Calcite is a stone of change and comes in many crystalline expressions from rhombohedrums to scalenohedrons to "cookies". 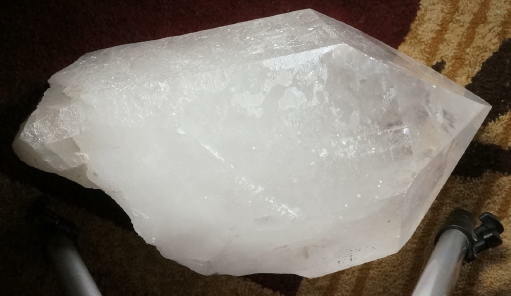 This is one crystal that belongs with pretty much every meditation so as to integrate all that you have experienced. It helps the understanding that change will happen no matter what you do to resist it ... allowing the change is critical to avoiding blockages in the body's Chakra system. The list is not complete without adding quartz, and in fact, quartz is THE go-to crystal of choice. Quartz readily combines with many other minerals like titanium (to make rose quartz), iron (to make citrine and amethyst), hematite (to make tangerine, tangerose, ambrosia, pink Lemurians, etc.) plus adds many inclusions like tourmaline, rutile, chlorite, anatase, etc. And while it's hexagonal, it so mutable that you will find wands, generators, Dows, elestials, etc. Entire books are written on the various crystalline expressions and their resultant energies. This is likely one of the most important crystals that will call to you and each will inform you of their purpose. In my mind, you can't have enough quartz! Some things about the upcoming Black Friday through Cyber Monday Sale beginning on November 28th and ending on December 1st. Basically, I will turn off the buy button on November 27th late in the afternoon so I can mark all the sale items for the morning launch. That will give a quicker load on Friday along with the newbies so the sale can pretty much initiate as soon as the newbies are loaded. Then, I will be removing all sold items in the catalog so as to avoid any confusion. I usually leave them up for several months as many people like to copy the write-up and/or pictures so if one is removed that you want, let me know and I will send a copy to you.